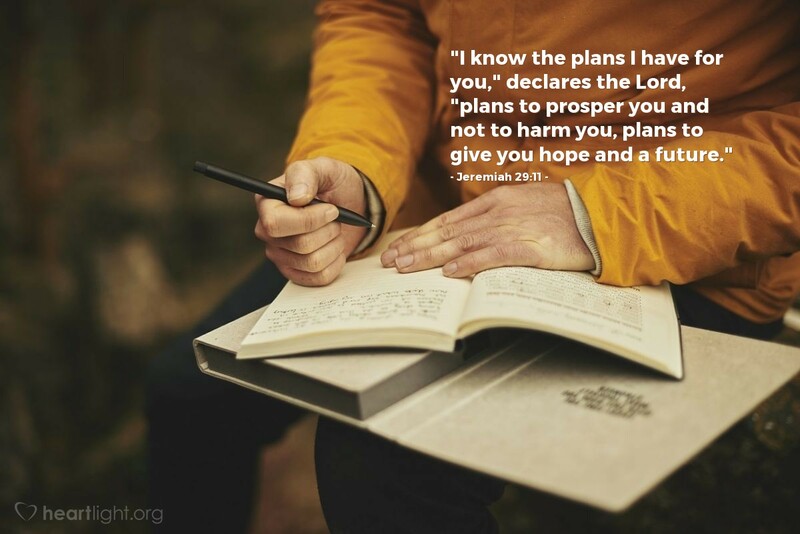 "I know the plans I have for you," declares the Lord, "plans to prosper you and not to harm you, plans to give you hope and a future." 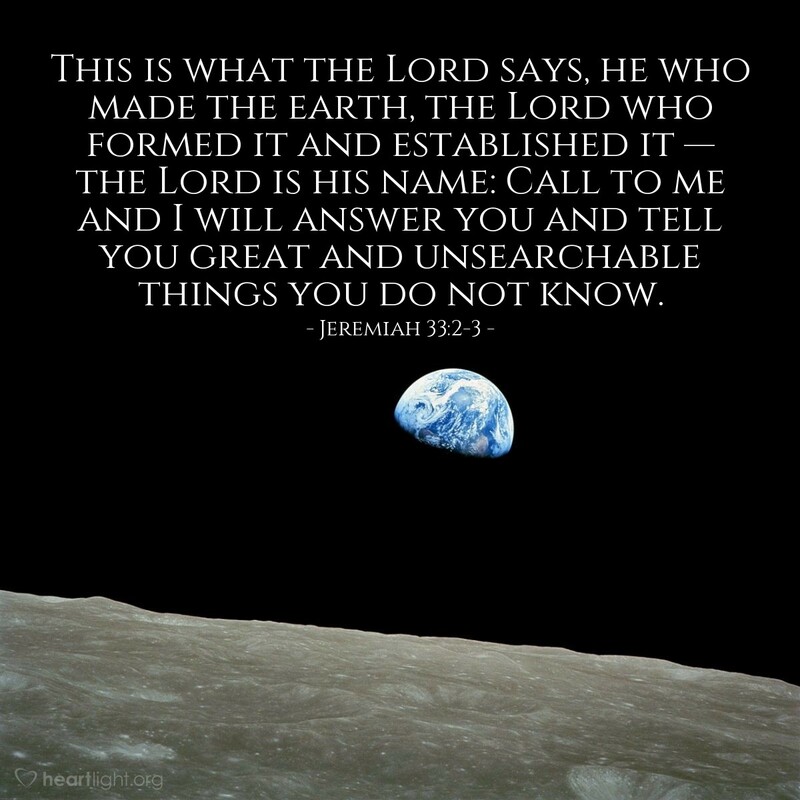 This is what the Lord says, he who made the earth, the Lord who formed it and established it - the Lord is his name: Call to me and I will answer you and tell you great and unsearchable things you do not know. 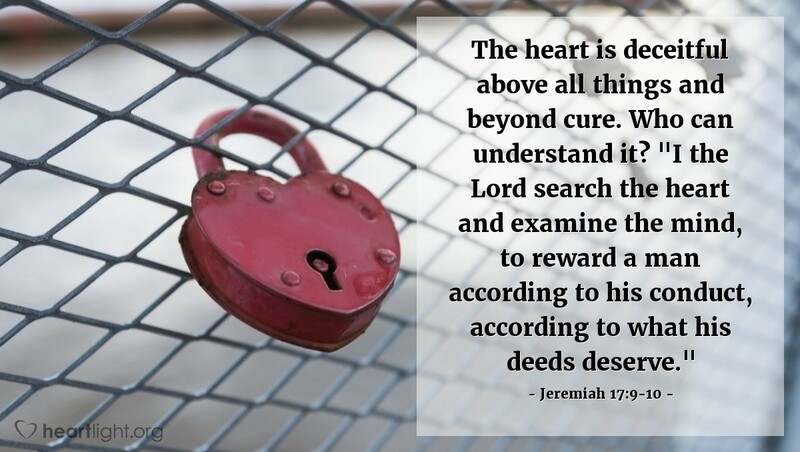 The heart is deceitful above all things and beyond cure. Who can understand it? "I the Lord search the heart and examine the mind, to reward a man according to his conduct, according to what his deeds deserve." "Can anyone hide in secret places so that I cannot see them?" 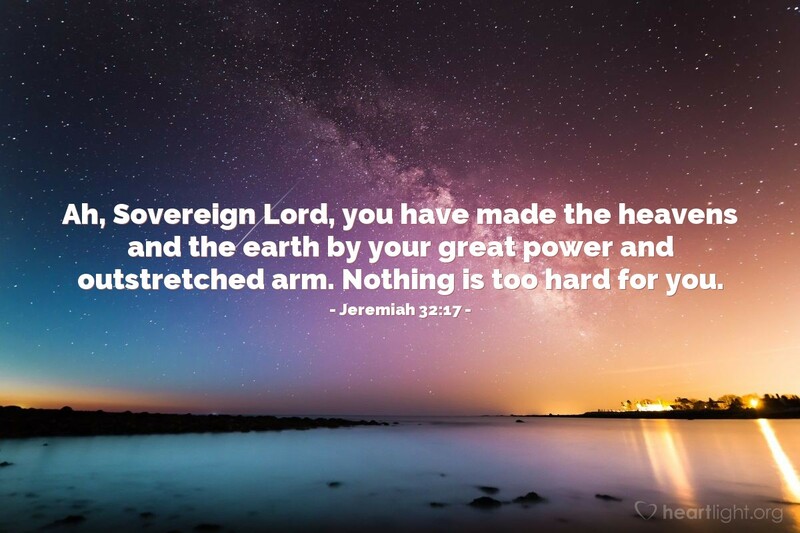 declares the Lord. 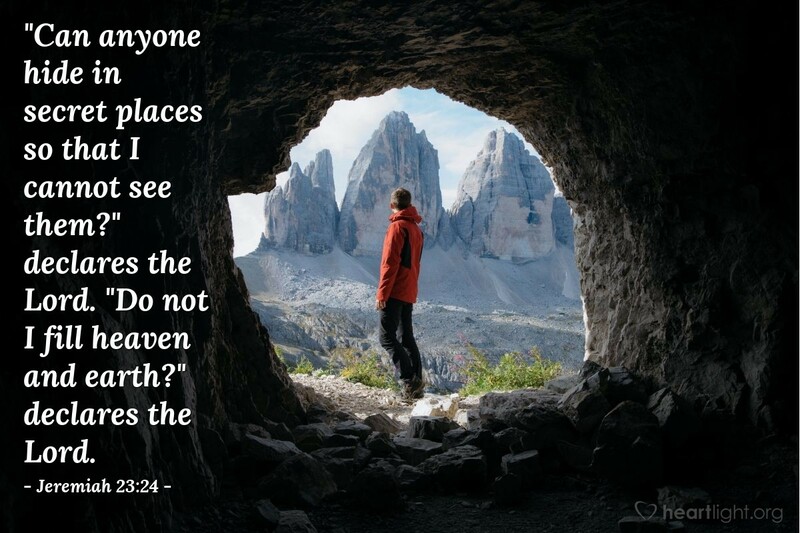 "Do not I fill heaven and earth?" declares the Lord. Blessed is the man who trusts in the Lord, whose confidence is in him. 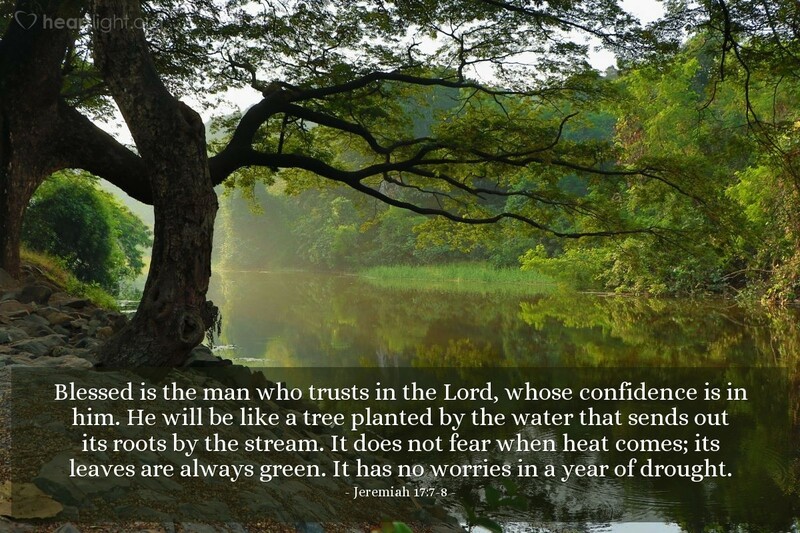 He will be like a tree planted by the water that sends out its roots by the stream. It does not fear when heat comes; its leaves are always green. It has no worries in a year of drought.